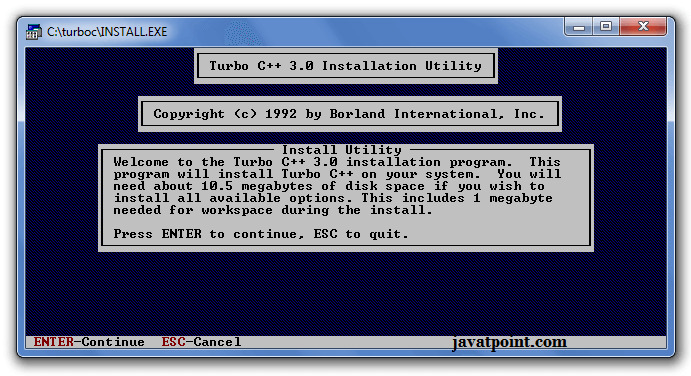 Now, you need to create a new directory turboc inside the c: drive. 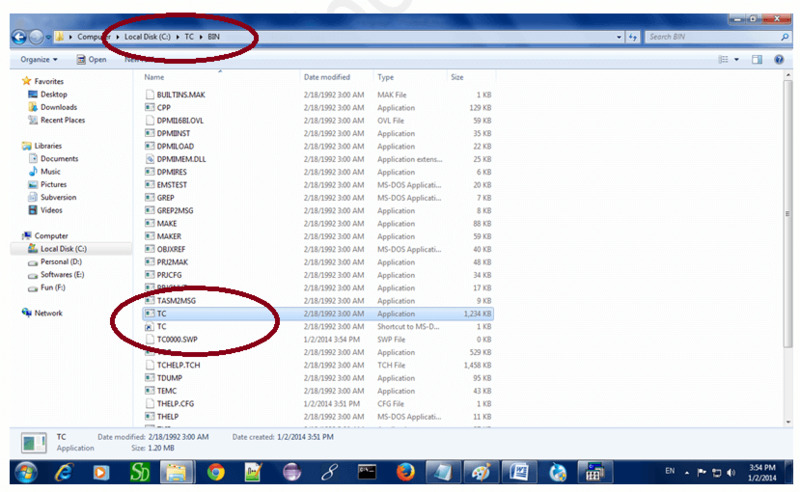 Now extract the tc3.zip file in c:\truboc directory. It will ask you to install c or not, press enter to install. 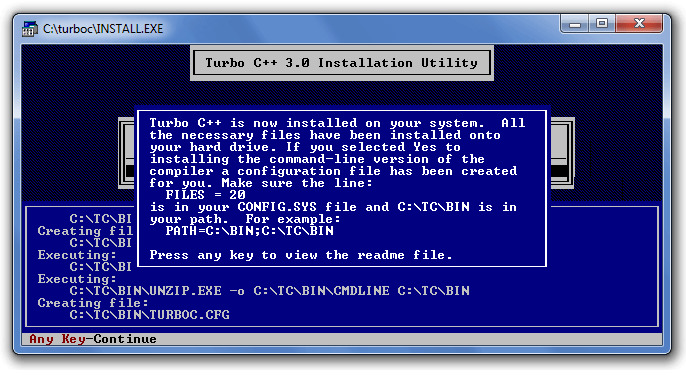 Change your drive to c, press c.
Press enter, it will look inside the c:\turboc directory for the required files. Select Start installation by the down arrow key then press enter. 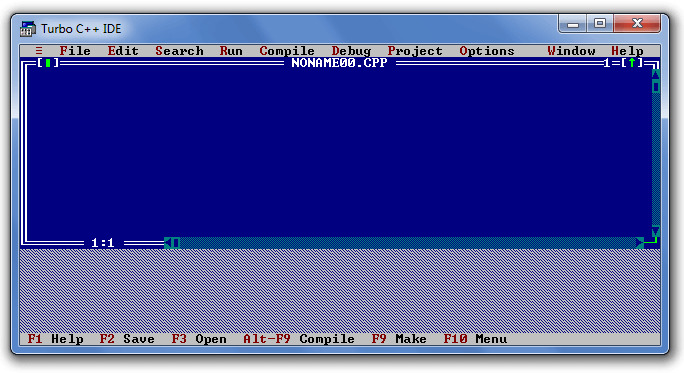 Now C is installed, press enter to read documentation or close the software. 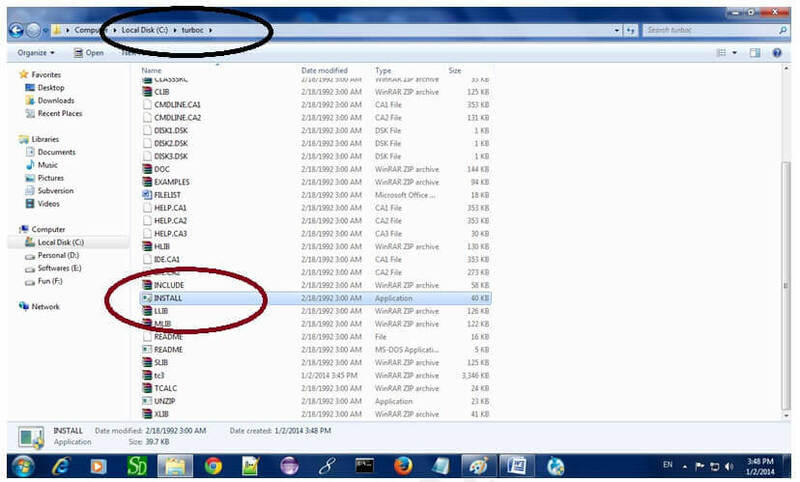 Now double click on the tc icon located in c:\TC\BIN directory to write the c program. Now it will showing following console.